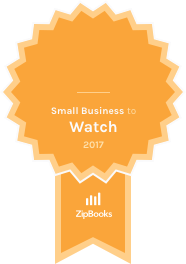 Mount Laurel, New Jersey – ZipBooks is proud to recognize Anointed Ads Web Design as a ZipBooks Small Business to Watch for May 2017. Anointed Ads Web Design was selected across all small businesses using the ZipBooks platform. Founded in 2007 and located in Mount Laurel, New Jersey, Anointed Ads Web Design provides website solutions for businesses. They provide graphic design services, SEO consulting, and online marketing. Their goal is to help clients get the most out of their website and enable them to put their best face forward online. Anointed Ads Web Design provides website solutions for businesses. Their goal is to help clients get the most out of their website and enable them to put their best face forward online. Anointed Ads provides graphic design services, SEO consulting, and online marketing. The company’s primary focus is creating amazing designs and providing excellent service to customers.